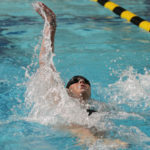 The NCAA Division III Swimming & Diving Championships began Wednesday and the Gustavus women competed in two events. 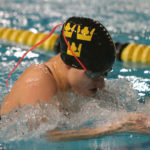 Kate Reilly (Sr., Hastings, Minn.) and Maggie Webster (Jr., Apple Valley, Minn.) raced in the 50 freestyle, while Kennedy Holwerda (Sr., Willmar, Minn.), Reilly, Webster, and Maddy Westendorp (So., St. Michael, Minn.) competed in the 200 medley relay. The Gustavus women’s swim & dive team finished the MIAC Championships on Saturday with a second place finish, scoring 657 points. St. Thomas won the title with 867 points and St. Olaf took third with 492 points. After four sessions and two days at the MIAC Championships, the Gustavus women’s swim & dive team remains in second place with 429 points behind St. Thomas at 558 and ahead of St. Olaf at 322. The Gustavus women's swim & dive team Thursday placed many individuals on the podium at the MIAC Championships, tallying 200 points after day one to sit in second place. St. Thomas leads the field with 215 points, while third place St. Olaf has 131 points. 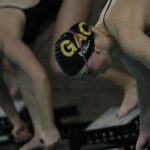 The Gustavus women’s swim & dive team had a great showing on day two of the Gustavus Invitational on Saturday. 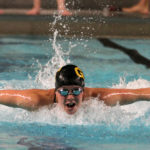 In the final tune-up before the MIAC Championships in two weeks, the Gusties claimed 10 more first place finishes after winning five in session one Friday. 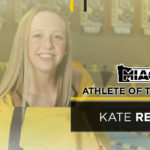 The Minnesota Intercollegiate Athletic Conference announced its Women’s Swimming & Diving Athlete of the Week award Tuesday afternoon and Kate Reilly (Sr., Hastings, Minn.) earned the honor. 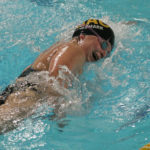 The Gustavus women’s swimming and diving team Saturday defeated Saint Benedict 205-97 in a MIAC dual meet at Vic Gustafson Pool. 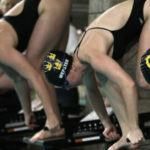 The Gusties won 11 of 16 events in a convincing victory. The Minnesota Intercollegiate Athletic Conference announced its Women’s Swimming & Diving Athlete of the Week award this afternoon, with Sydney Hallmark (Jr., Cedarburg, Wis.) earning the weekly honor. 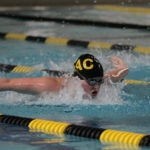 The Gustavus women’s swimming & diving team showed no signs of rust after a month away from competition as it cruised to a 209-90 MIAC dual victory over Carleton on Friday at Vic Gustafson Pool. The Gustavus women’s swimming & diving team took first place out of 11 teams Saturday at the Pioneer Classic, hosted by Grinnell College. The Gusties accumulated 1898.5 points, more than 800 points over second place Grinnell. 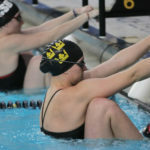 After racing out to a first place start in Session 1 Friday night, the Gusties won eight of 15 events on Saturday and placed second in the remaining seven events.